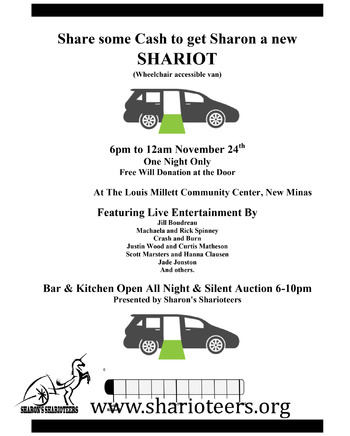 The event is to help raise funds for a modified wheelchair van for local resident Sharon McInnis. 8. Crash and Burn 11:00-12:00. Silent auction will be happening from 6pm to 10pm.